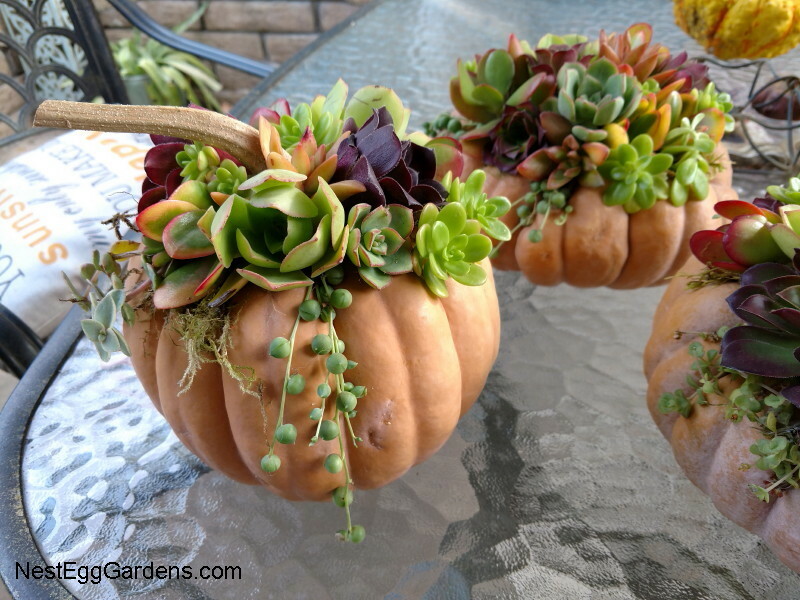 These pumpkins topped with succulents were the most popular item at my holiday sale. 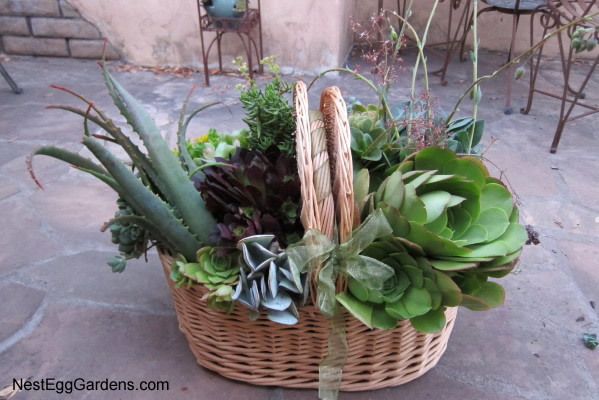 This entry was posted in Arrangements, Flora, For Sale on December 3, 2018 by Shelly. Every fall I order bulbs to force for the holidays and spring. This season’s selection was Ziva Paperwhites (a classic for Thanksgiving and Xmas), and Narcissus. Silver Chimes are my absolute favorite, and then I usually pick another variety to try out. Paperwhites can be potted up in October, but the narcissus bulbs go into the garage refrigerator (where there aren’t any fruits or vegies to give off gas that can affect bloom) for about 6 weeks. 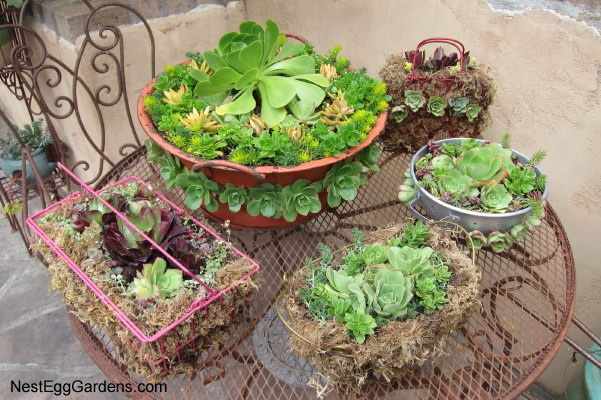 Then they are potted up and placed outside in a cold, shady spot until the leaves are about 4 inches tall. 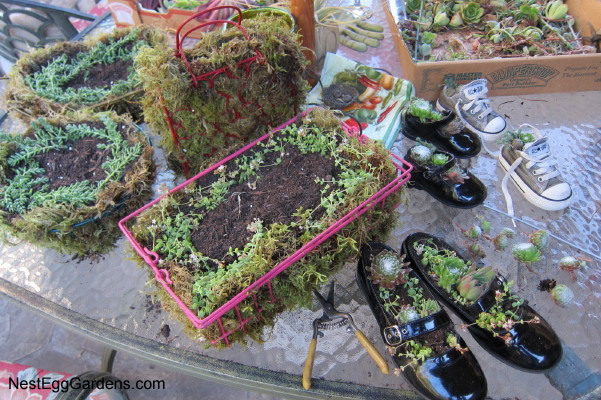 Then I sprinkle a big pinch of grass seed on the top and cover with bird cages (to keep the birds from eating the seed). 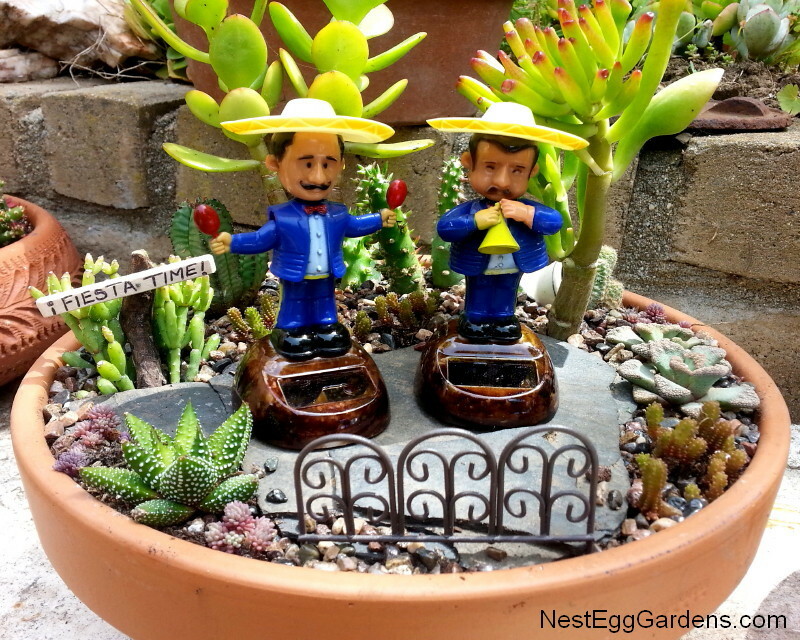 Be sure to keep moist until the grass germinates. 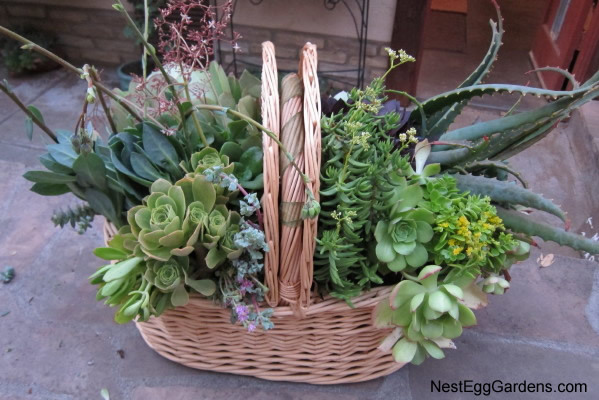 The results are fresh looking, fragrant flowers that look so natural inside or out. 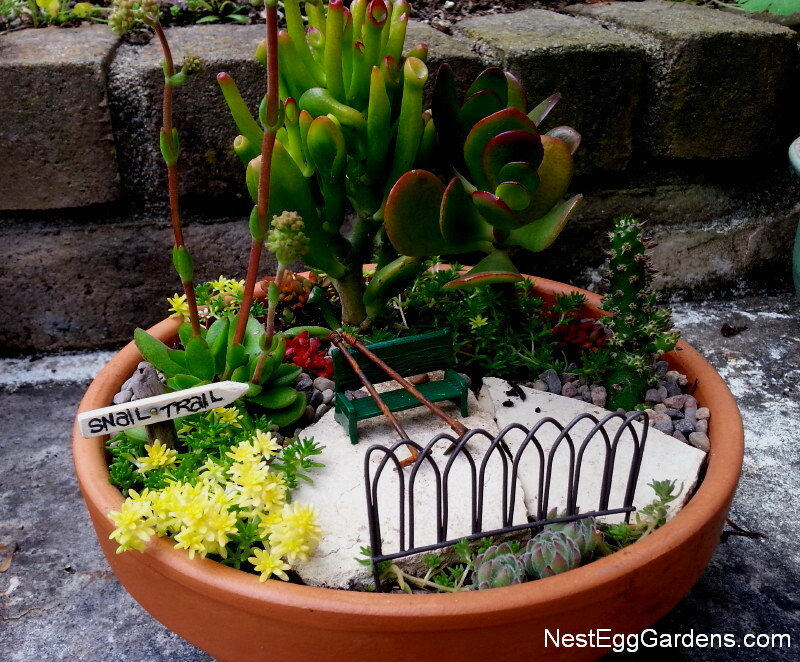 When the flowers fade, the bulbs can be planted outside, where they will re-bloom year after year. This entry was posted in Bulbs, Flora, For Sale on March 13, 2017 by Shelly. 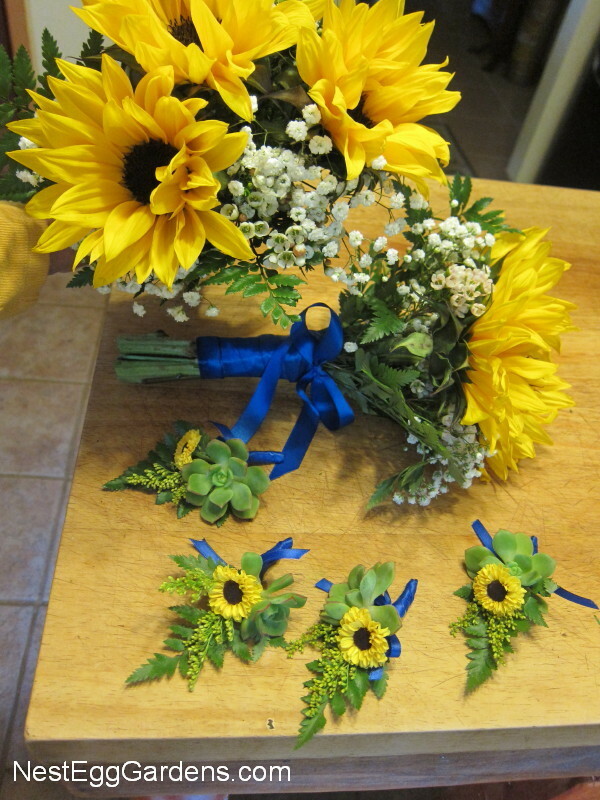 Put these together for a small beach wedding a couple of weeks ago. Sunflowers aren’t in season in California yet, so they had to be shipped from Baja, Mexico. 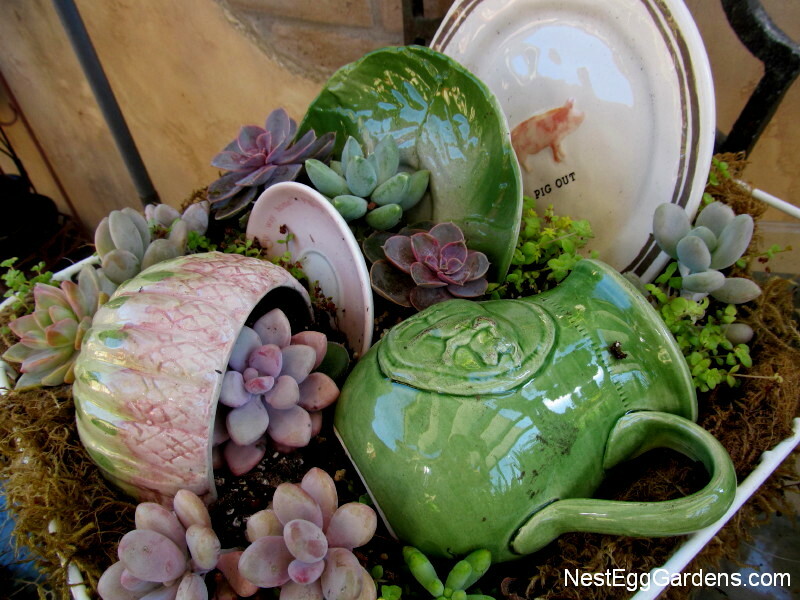 They turned out very summer-like with succulents and all! 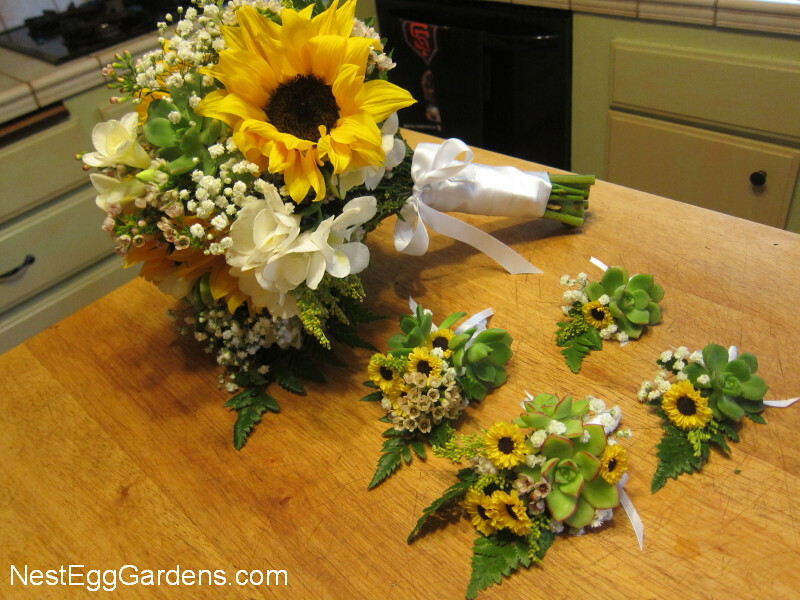 The mini-sunflower-like mums worked perfectly for corsages and boutonnieres. The attendants (2 daughters and 4 sons) were wearing navy blue, so blue ribbons were added to match. Congratulations to the happy couple! 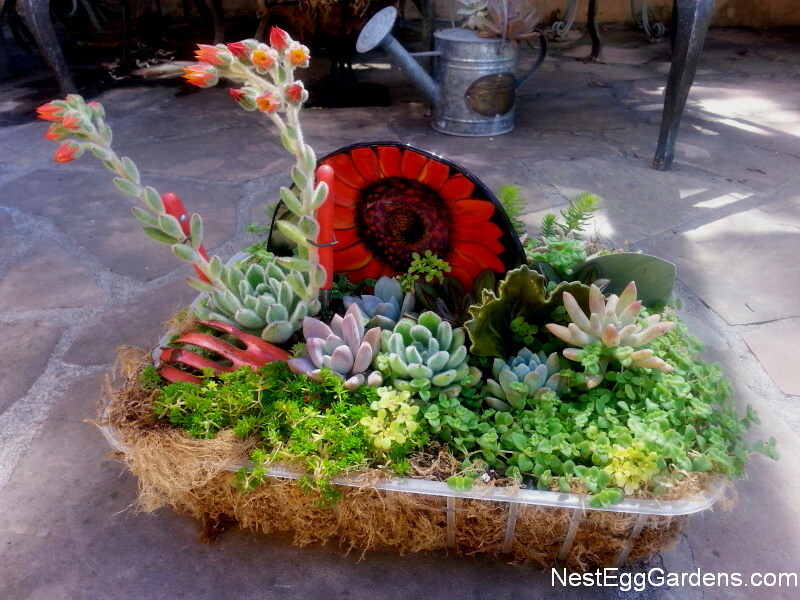 This entry was posted in Arrangements, Flora, For Sale on March 21, 2016 by Shelly. 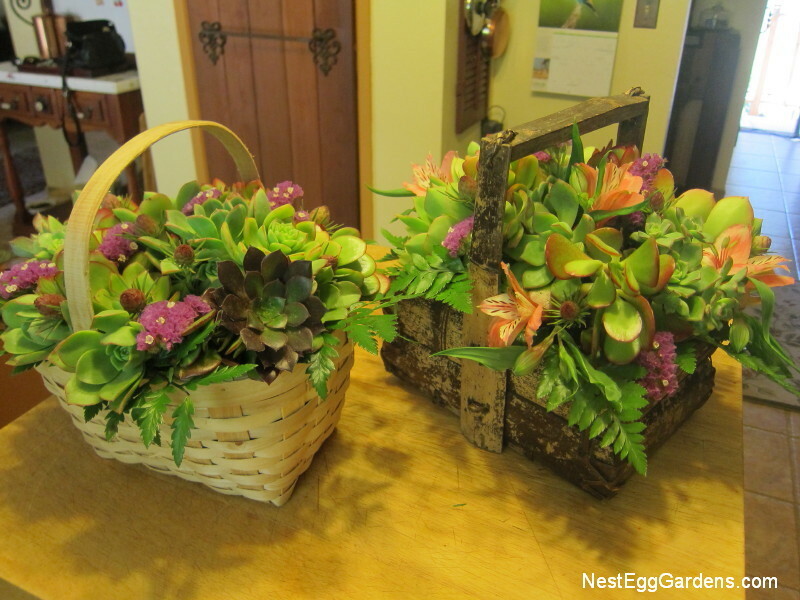 The new batch of nesting wreaths are bigger and better than before. 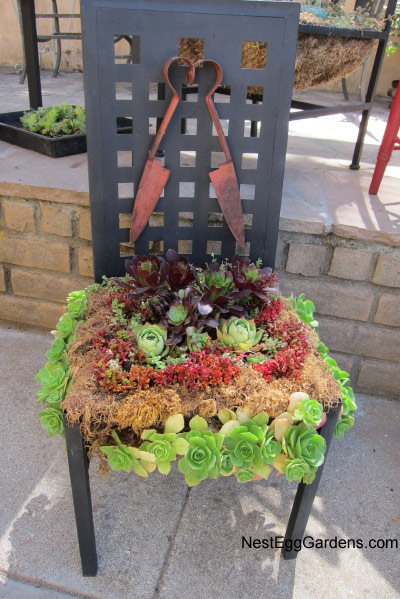 Made with mosses, dryer lint, pet fur (freshly washed), strips of material, dried flowers and seed. 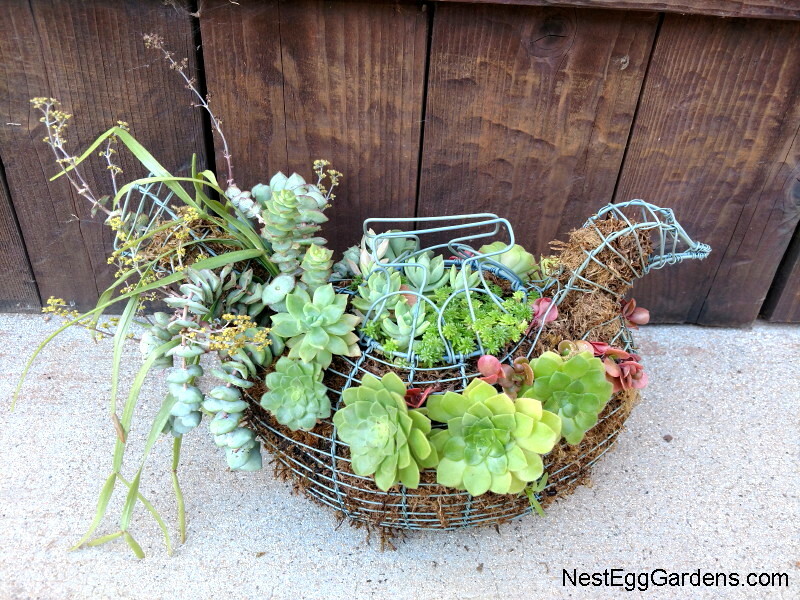 With your feathered friends in mind, it’s wrapped onto a vine wreath with a wire hanger (no glue). 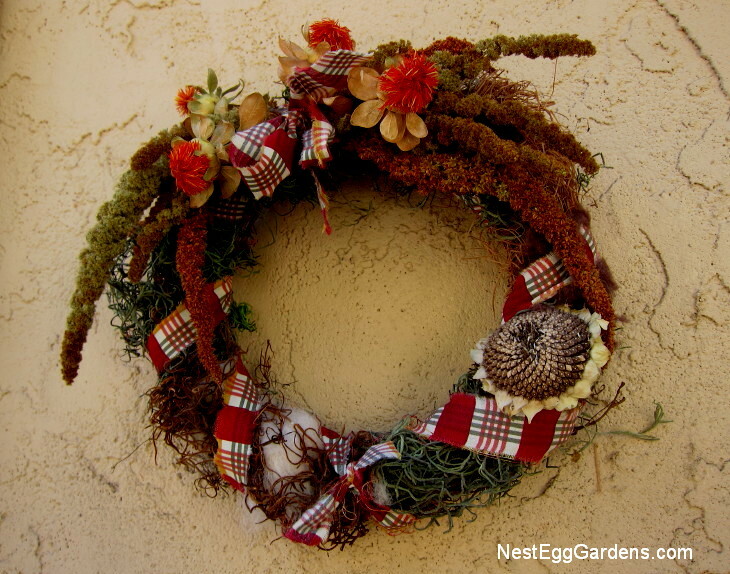 Nesting wreaths start out as holiday decoration for your door or mantle. 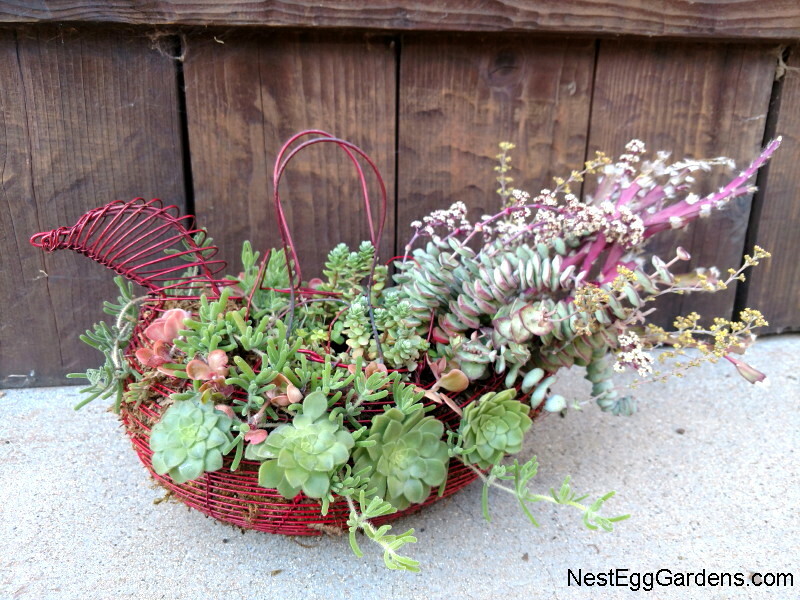 After the end of the year, it can hang outside, where the sunflower heads and amaranth will feed hungry birds, and then provide them with nesting material for spring. 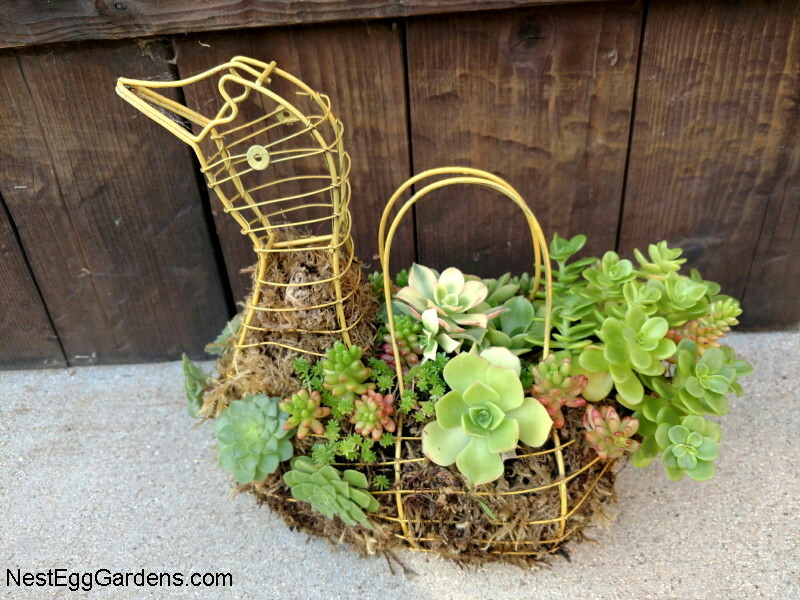 This entry was posted in Birds, Fauna, For Sale, Projects on November 17, 2015 by Shelly. All year long, Shelly gathers materials with potential at yard sales and thrift stores. 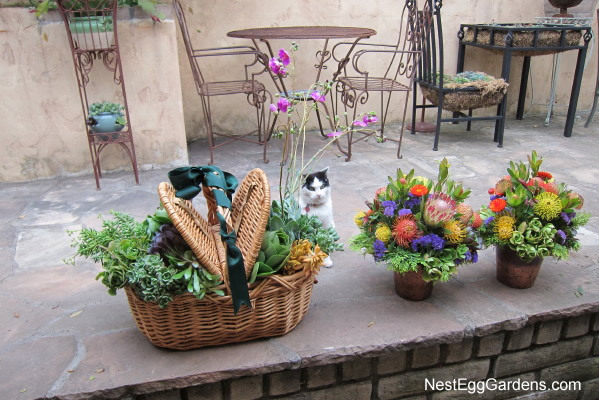 These baskets are really starting to multiply in the garage… in preparation for the holidays. 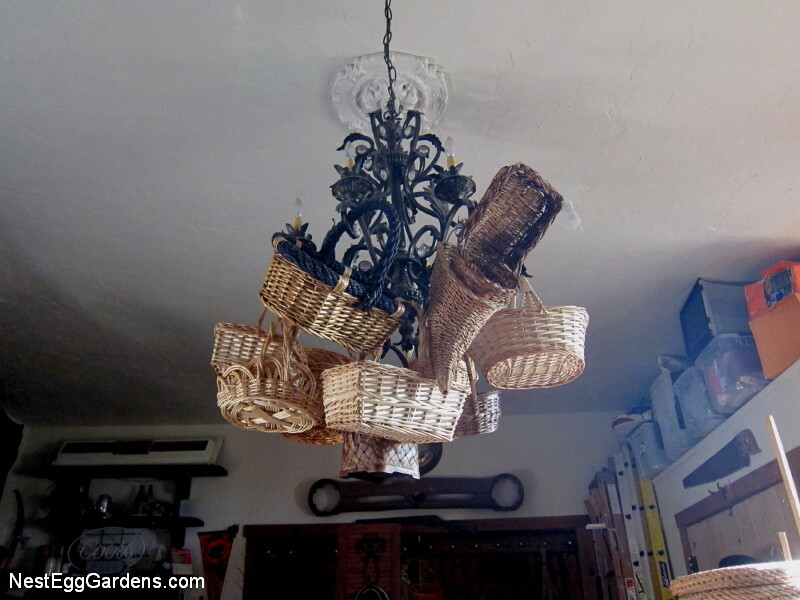 Hanging on the chandelier is the perfect spot to keep them up out of the way until they are ‘upcycled’ into Fire starter Baskets and Succulent & Flower Baskets. 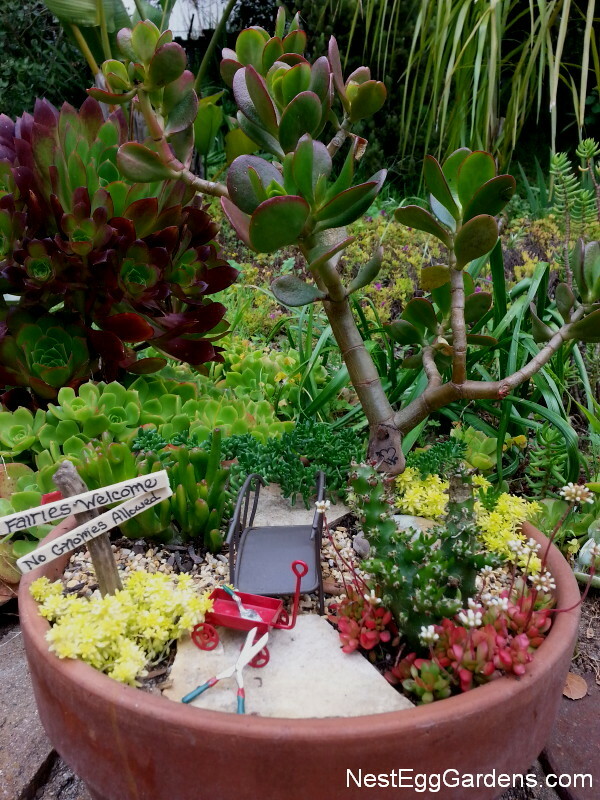 This entry was posted in For Sale, Projects on September 22, 2015 by Shelly. 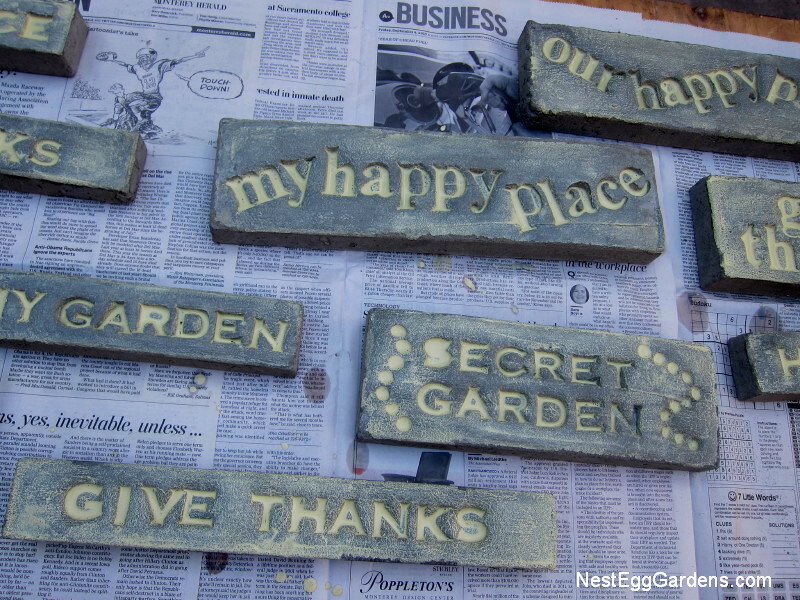 This is how I make the garden stones that are so popular during the holiday season. I mixed up a couple of batches using plastic frames and stamps (e.g. Poetry Stones kit). I use the vinyl patch type of cement and mix according to directions. Filled each frame, smooth flat, and pressed in a few new phrases. 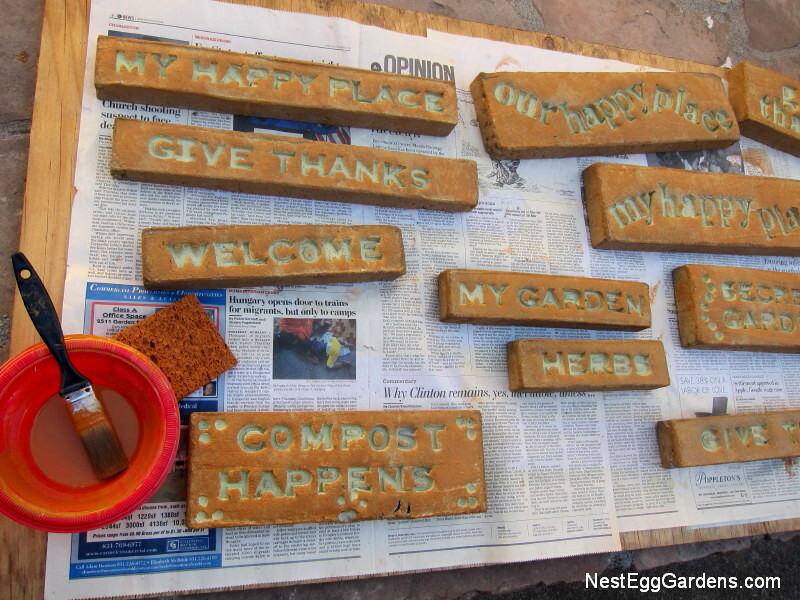 When they were totally dried and cured, I painted on some watered down paint… filling in the letters. When that coat was dry, I sponged on a contrasting color on the top and sides. 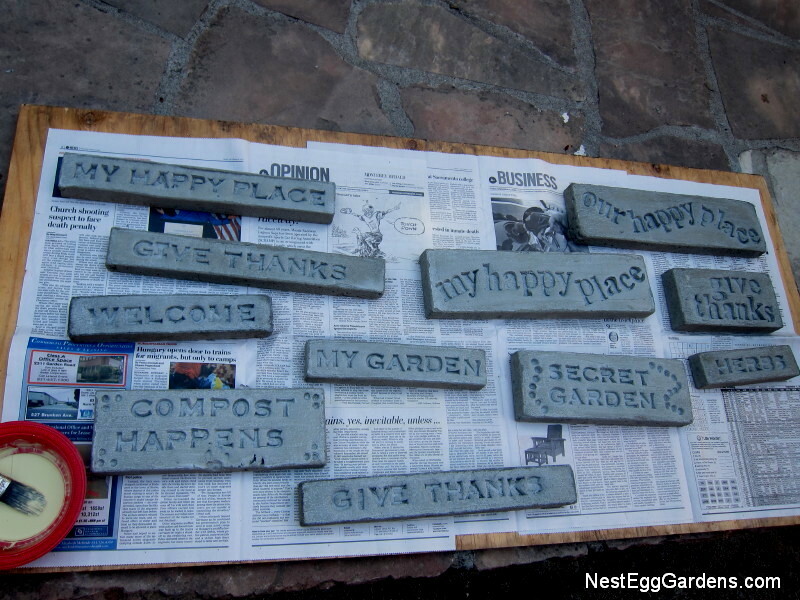 These make nice gifts that last forever… inside or out. 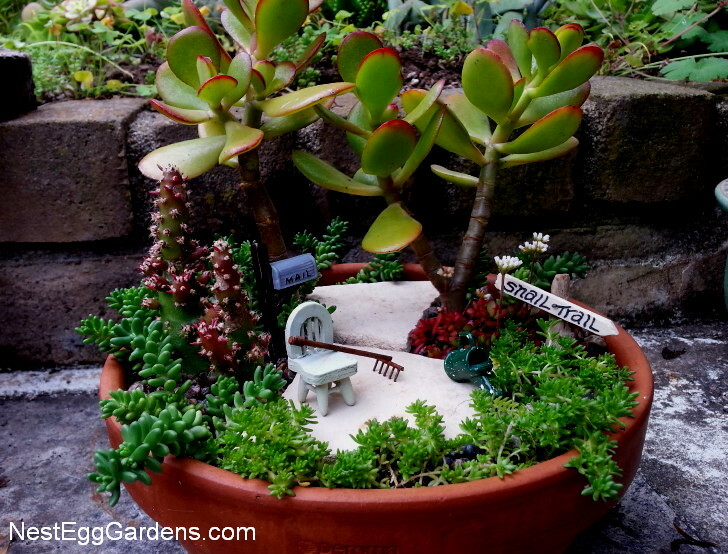 This entry was posted in For Sale, Projects on September 14, 2015 by Shelly. 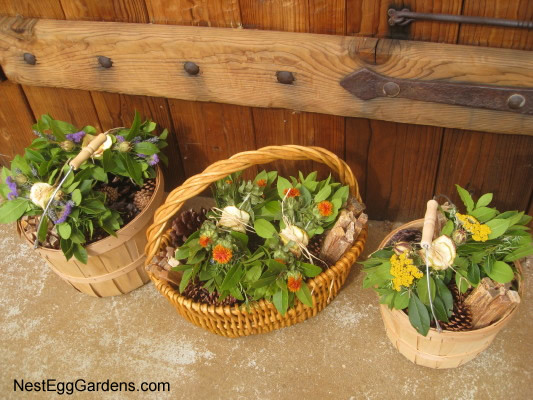 Bundles of fatwood (natural high-resin sticks), cinnamon wax dipped pinecones, and herb/flower bundles in a basket. 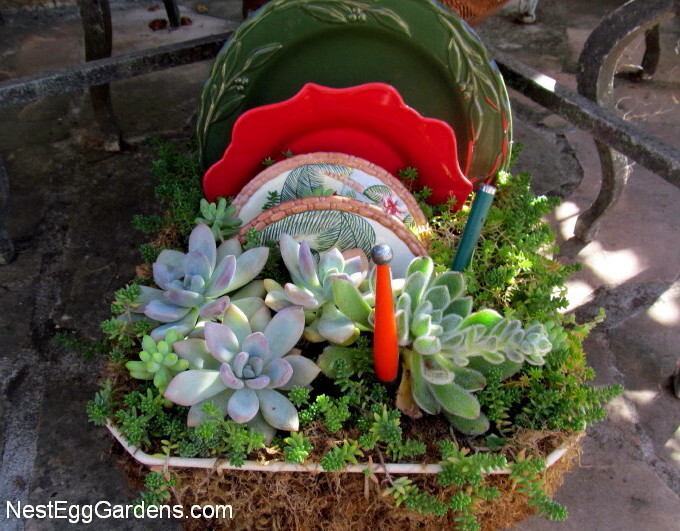 Perfect hostess gift or for your own hearth. 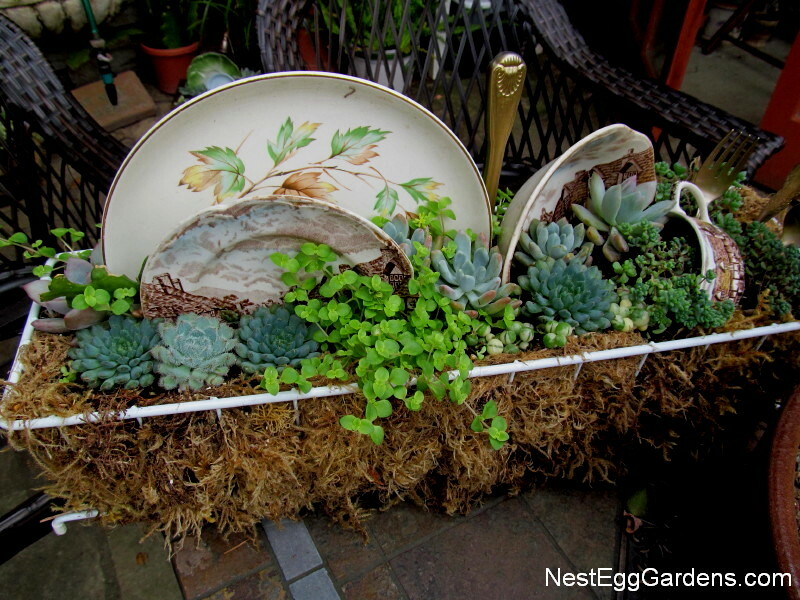 This entry was posted in For Sale and tagged Winter on December 12, 2013 by Shelly. 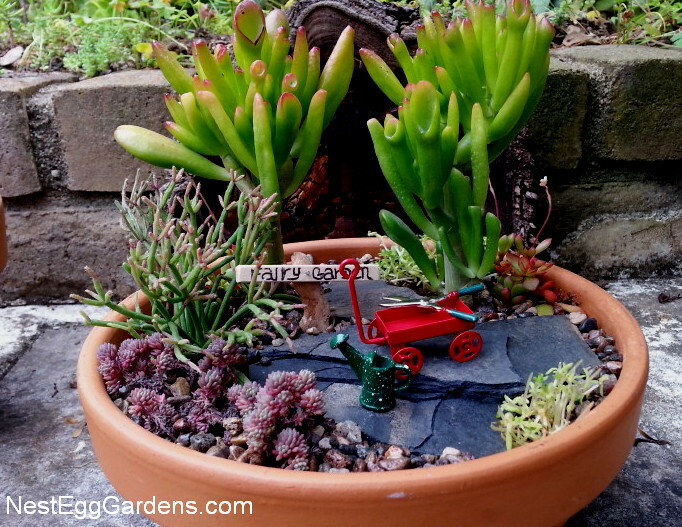 Gardeners share plants… that’s what they do. 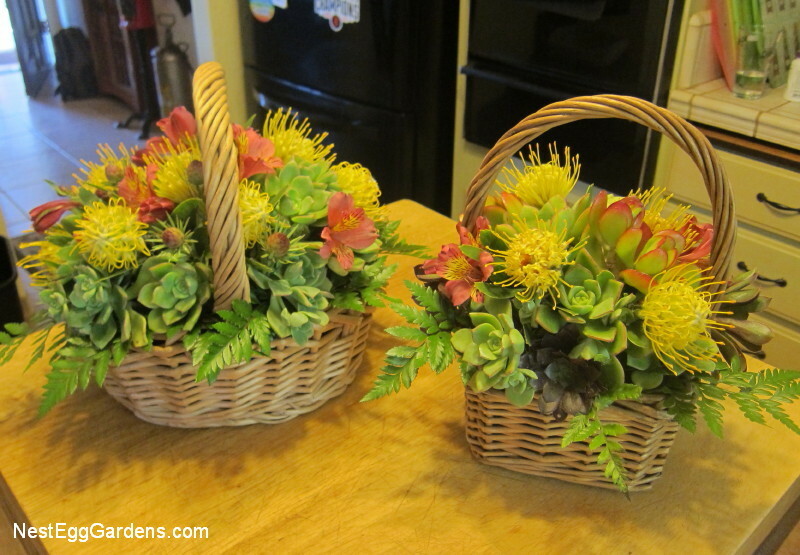 I recently made up some flower arrangements and a picnic basket for a house warming party. 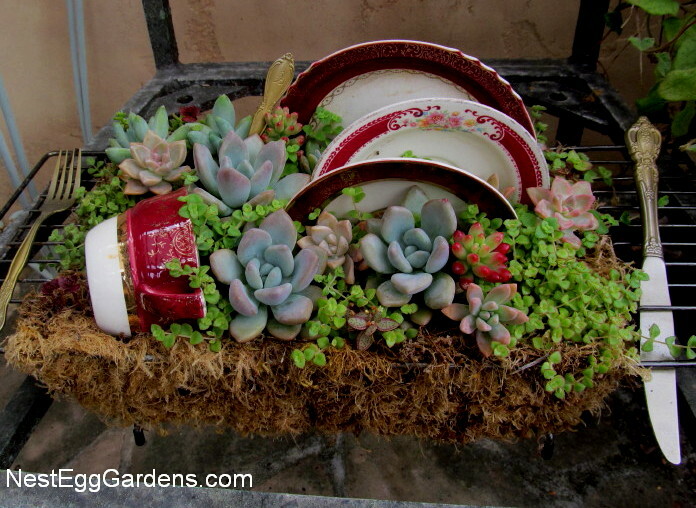 Who doesn’t love succulent cuttings? 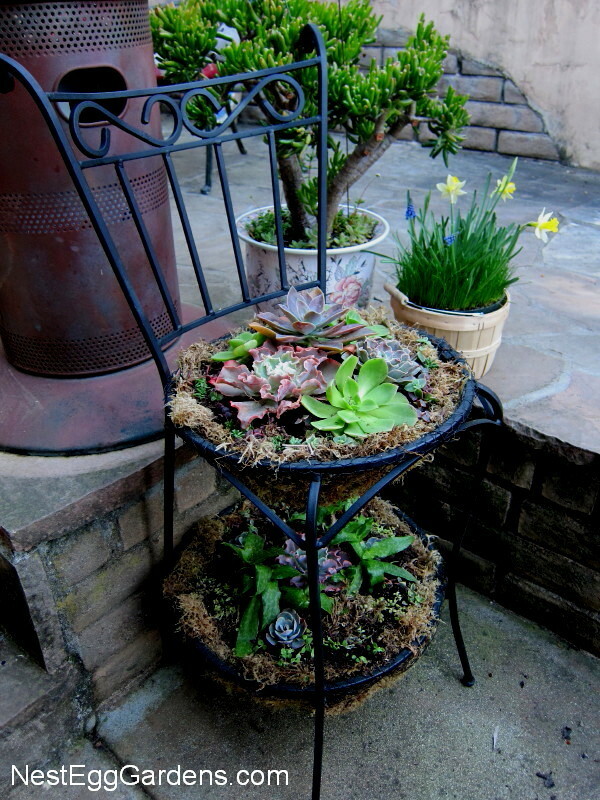 So pretty and versatile, it’s such an easy way to share plants. No need to keep them in water. They can sit around for weeks (roots start growing after 10 days). 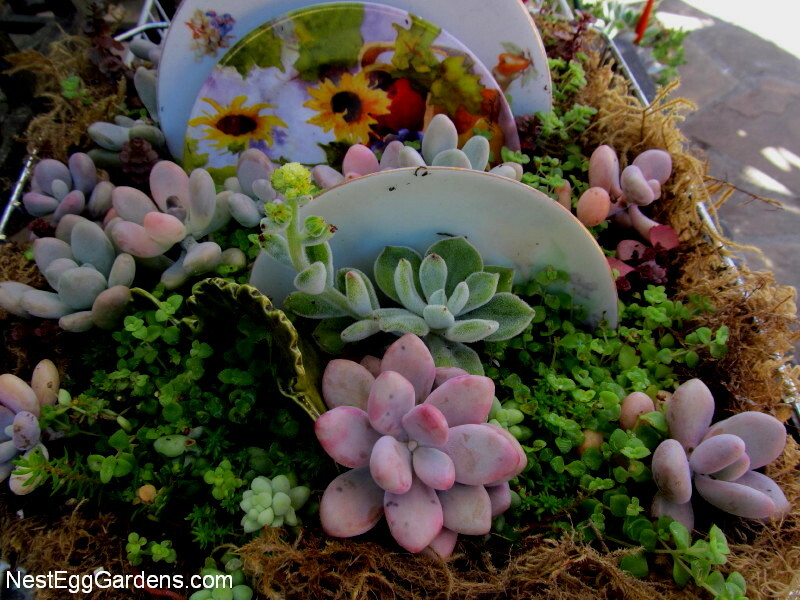 Easy to take care of… stick them in the ground and water once a week until they can get established. Mulch helps to conserve moisture. Share the wealth! 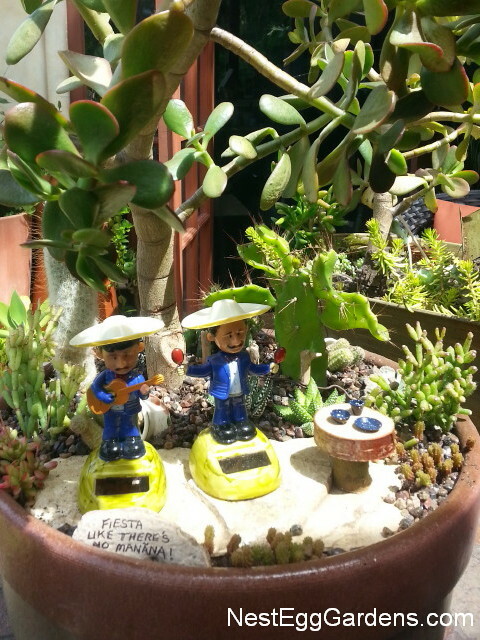 This entry was posted in Flora, For Sale, Living Art, Succulents on August 18, 2013 by Shelly. 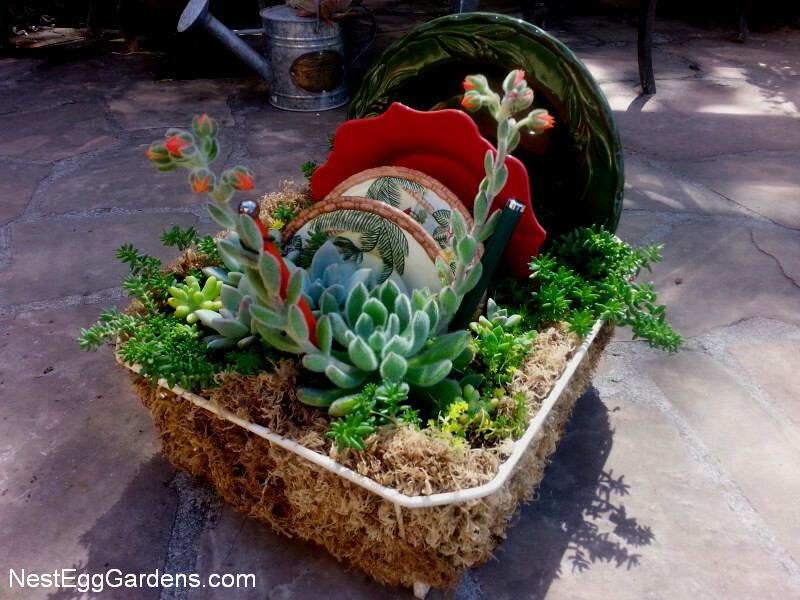 Getting busy making more succulent stuff. 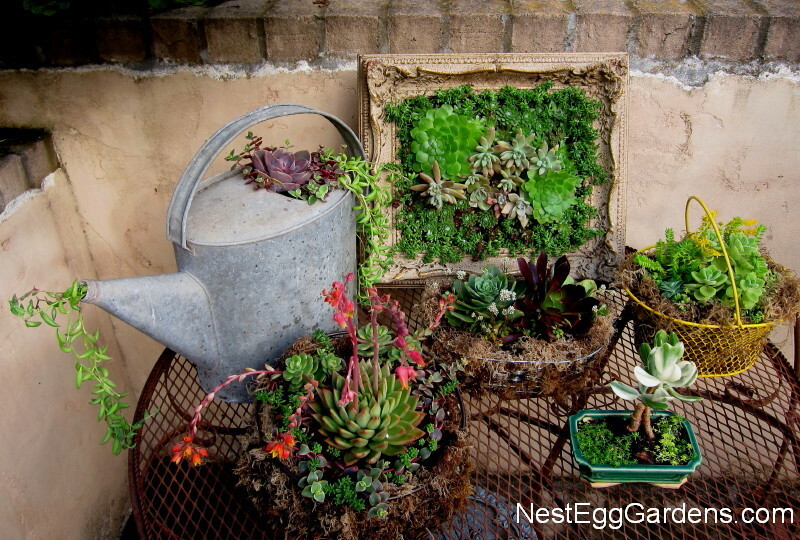 Succulent cuttings are so easy to create with… just plug and play! 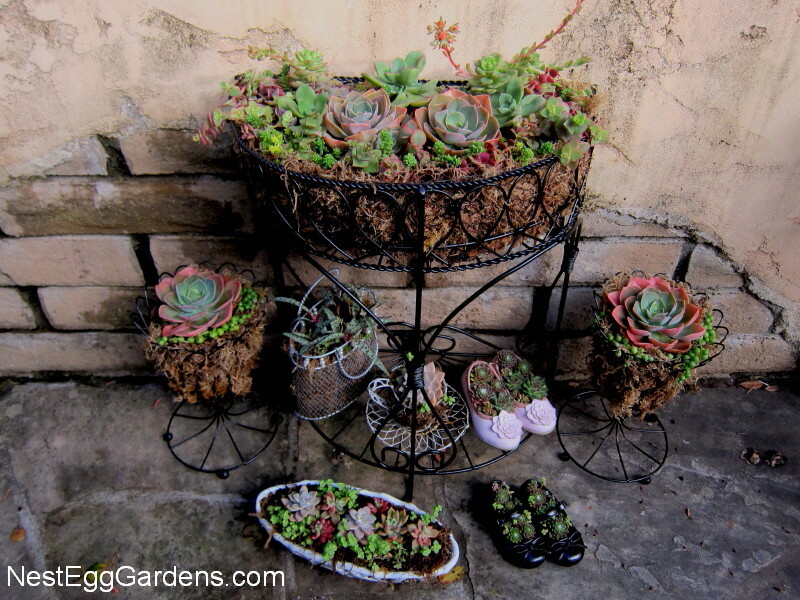 Most of these things will go on consignment at Wisteria Antiques and Gardens, a really cool shop in Aptos, CA… or sold at farmers markets and other events. 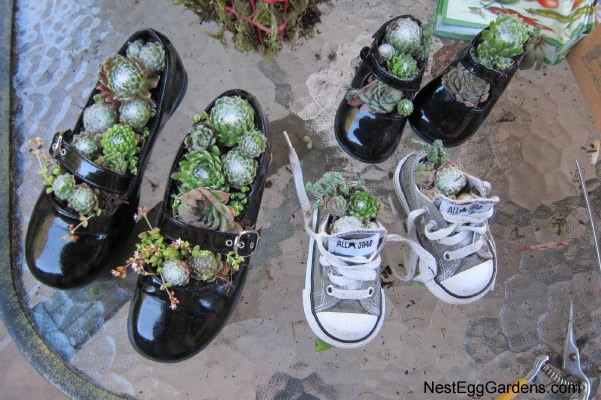 The baby shoes are popular lately. 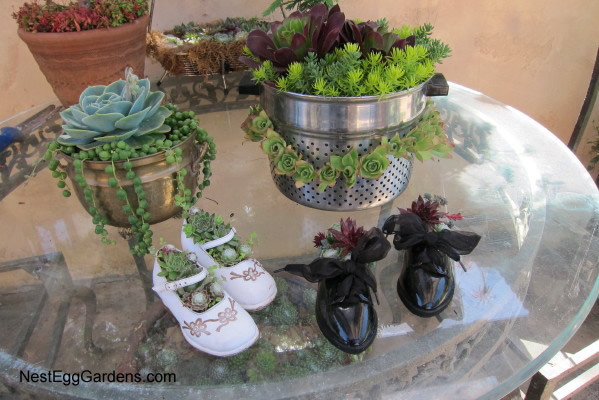 After drilling holes in the soles, fill them with potting soil. 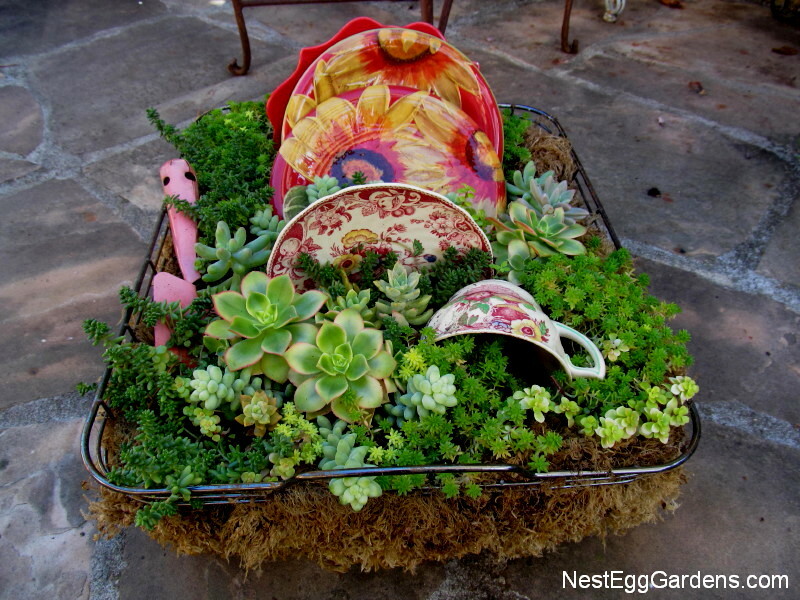 Prepare chairs or other frames by building a chicken wire basket and lining with damp moss. 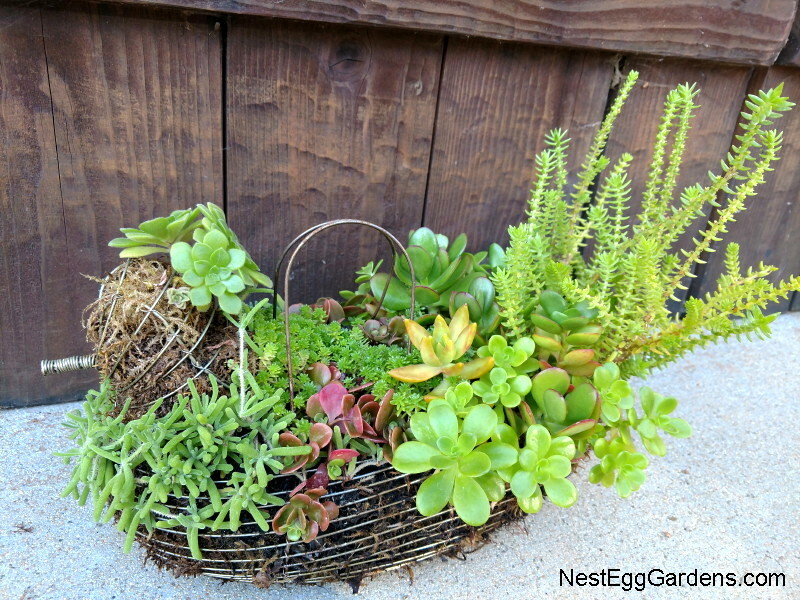 Same thing with wire baskets. 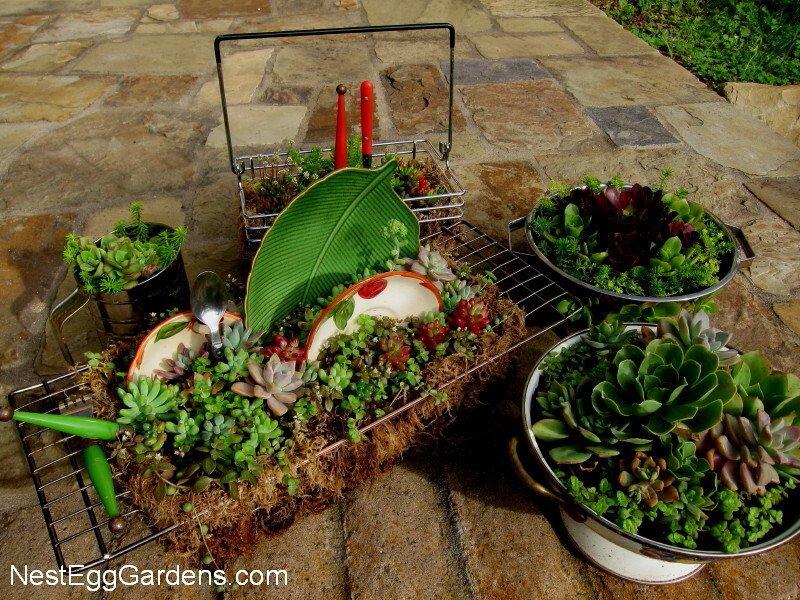 Colanders (and other strainers) don’t need moss, and work great for inserting cuttings into the side. 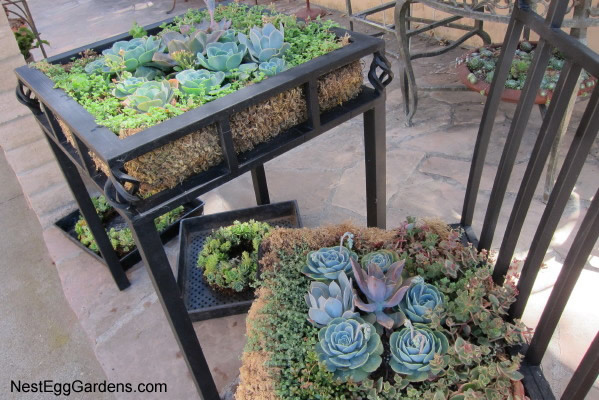 Once the containers are filled with soil, first insert cuttings in the sides (of basket, colanders and chairs), and press down the soil. 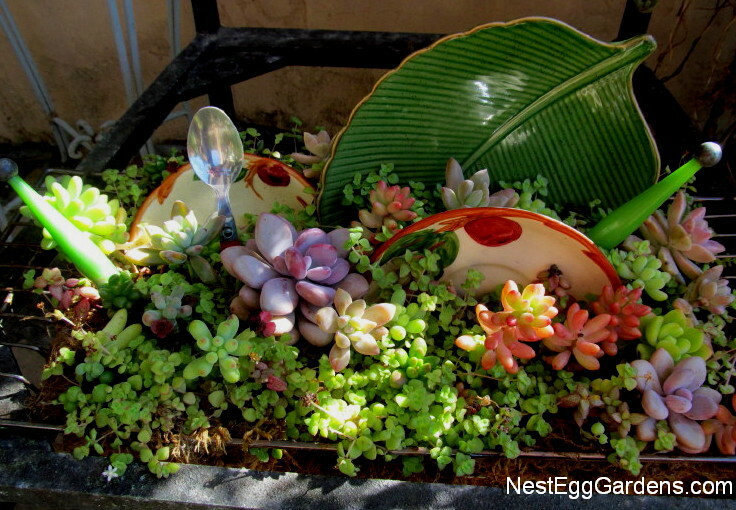 I like to lay sedum (low growing succulents) around the edges on top of the soil, which will fill in and spill over the edges once rooted. 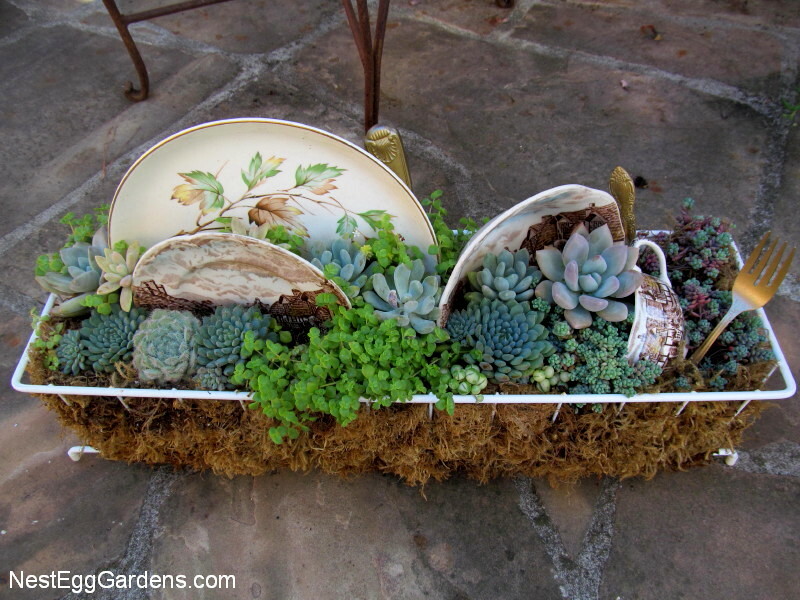 Stick in succulent cuttings, grouping types that favor similar conditions. 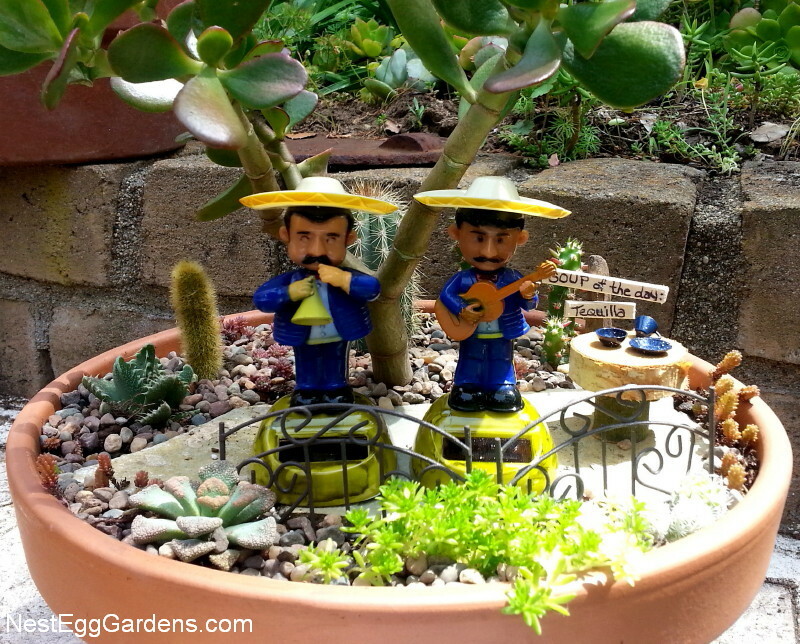 Set outside in part shade and water once or twice a week for about a month. 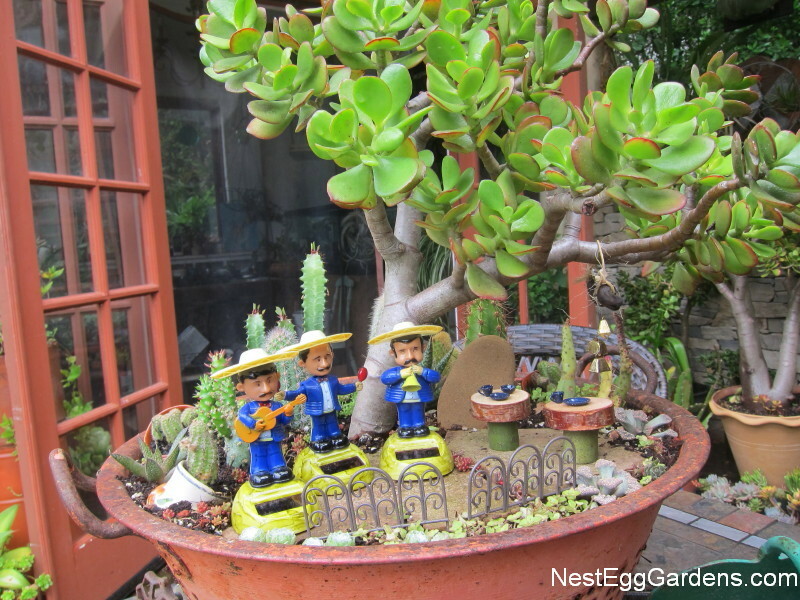 This entry was posted in Flora, For Sale, Living Art, Projects, Succulents on August 6, 2013 by Shelly.